Place the sriracha, honey, sesame oil, sesame seeds, salt and pepper in a large bowl and mix to combine. Add the beef, toss to coat and set aside for 15 minutes to marinate. 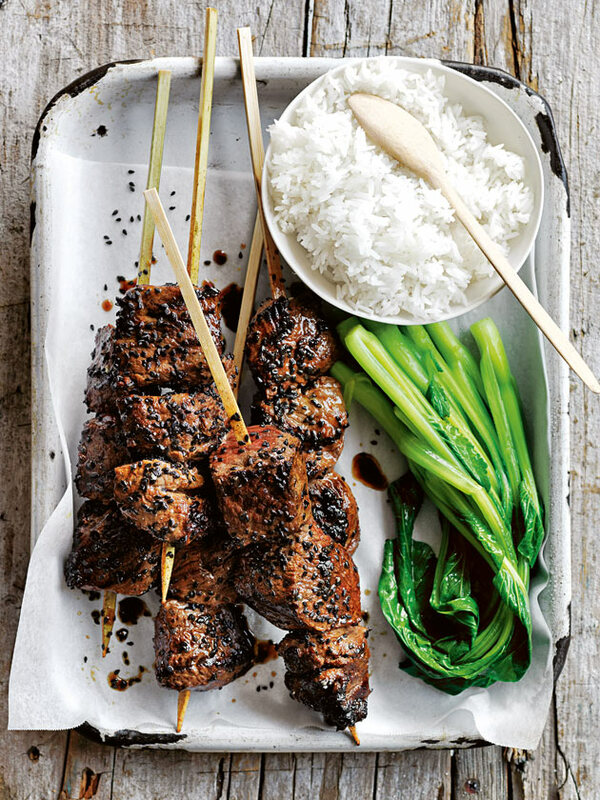 Serve the skewers with steamed jasmine rice and your favourite Asian greens – we have used pak choy.